Why ERP for Smaller Businesses? Implementation of an ERP system is considered to be the most expensive investment a company or enterprise can make. Often due to heavy deposits in the implementation of ERP, small enterprises take their step back from getting it done. Despite knowing the potentialities an ERP can bring in to their business, initial investment woes hold them back from owning an ERP software. With the advent of open ERP like Odoo, ERP implementation is no more a heavy burden. Especially taken care of, it fits all categories of business running from smaller to medium and thereby larger enterprises. 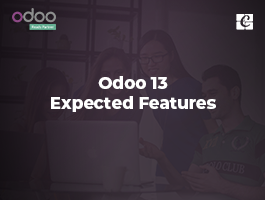 Odoo in short span of time expanded its possibilities in software engineering and got widely advocated for large-scale enterprises. A large group of big business magnets went after the choice of Odoo for building their private software. 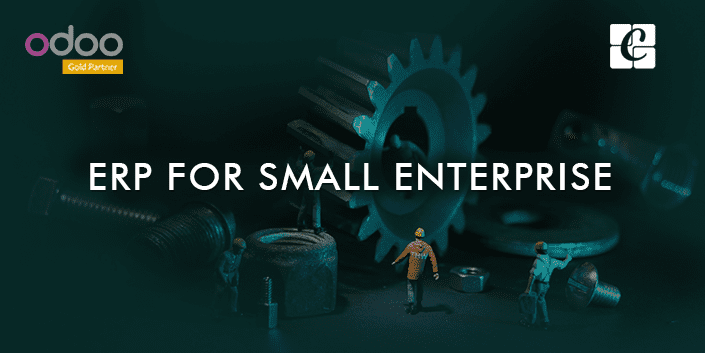 Though Odoo suits for both small and big enterprises in the same wave, misconceptions hold the smaller enterprises for getting them implemented. The large community of small-scale enterprises believed that ERP especially an open source ERP was not their cup of tea as it fits big conglomerate ownership. This cliché hold many small-scale enterprises from using Odoo for their business management. In reality, one has to clearly understand that in today’s business perspective, no business is small for an ERP solution. Every company has their own set of functions to appear and an ERP especially for smaller businesses, it will help you to appear, act and operate like an enterprise-scale business. To make it more precise, this article gives you a glimpse of what constitutes an Enterprise Resource Planning and how an open source ERP/Odoo turns beneficial for a small enterprise. Let us have a look. Enterprise Resource Planning (ERP) is considered as the backbone of any corporate-scale businesses. This software acts a key tool for managing the whole tasks of a business life cycle like production, order processing, accounting, inventory management, human resource and much more. In ERP, all these activities are brought under single interactive database management system with built-in analytics and a dashboard. It is high time that you understand the relevance of an Enterprise Resource planning for your business. Here we go with the proofs of better management via an ERP implementation. Firstly, are you in trouble of losing the track of your products? 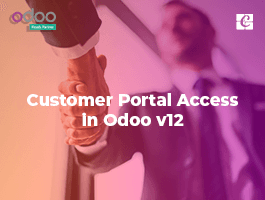 Here comes the Odoo ERP with a smart solution where you are served with strong Warehouse management module with end number of features ensuring productivity, efficiency, consistency, and quality control. By effectively managing the internal and external locations, customers, suppliers or manufacturing inventories, they provide you with real-time data and precise business information, enabling better decision making among business circles. In short, the strong warehouse management decreases your processing time, enabling workers to generate more quantity of work in less time as right resources are made available in right time. It is designed to scale from few thousands of operations to several millions of transactions. Secondly, an Odoo ERP helps you in executing the communication with utmost Transparency. Instead of each department having its own information system, all relevant data can be shared and accessed in a single database by integrating an ERP system. This eliminates the job of re-entering or export data which often results in errors. An Odoo ERP software helps you in deriving a real-time data thereby enabling the organization in making better and vital information. This turns beneficial for management, marketing, and accounting of the organization. 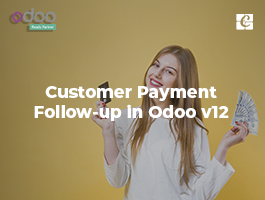 A quick and speedy decision making is ensured by Odoo software helping the teams to detect any potential issues bumping into productivity level. An overall report of operations allows the business leaders to make an effective decision on time and respond quickly to a changing business environment. The bottom line of any company is the growth in their production. 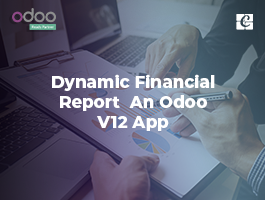 Odoo ensures Boost in Productivity with increased transparency in business processes. With the help of Odoo ERP, employees can shift their focus on managing enlarged volumes of business. This aids in transforming various features of your business and overcoming the challenges involved in your business growth as well. Besides, when your small business makes the swap to ERP software, you can enjoy streamlined data flow. This is exclusively true among fast-growing businesses, which may run into problems when it comes to data being discriminate in different departments. For example, financial data needed by the inventory department may be difficult to get ahold of. With an Odoo ERP software, everything is placed at one place and all official data is made available across each department. Implementing Odoo ERP for small business can bring a huge change in data collaboration. A poor communication and failed collaboration often result in problems in data accessing. When you fail to place the right communication at the right place to the targeted audience, employees often get troubled in accessing the data when they are in need of. With the implementation of an ERP, one can access the data across all departments, initiating a better collaboration among the employees and various departments. 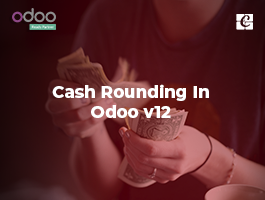 Odoo ERP streamlines all managements segments like human resource, accounting, warehouse management, customer relations under one roof, reducing overall operating costs. Where you previously paid money on individual software for managing different segments, with an integrated ERP like Odoo, you need to pay only for a single software, saving the resource for their better customization. In short, with Odoo, open source ERP decision-making is more joyous, improving communication is easier and boosting productivity is made simpler. No doubt that it brings change among smaller enterprises.